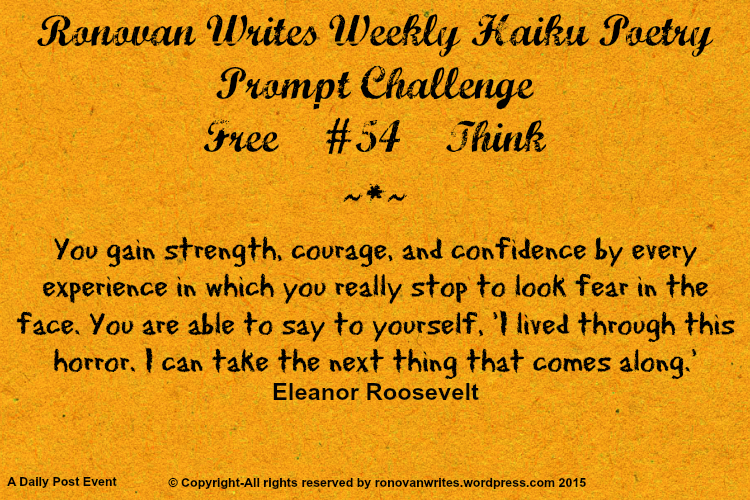 Ronavan’s Weekly Haiku Challenge is open to everyone who wishes to write haiku using two prompt words. This week the prompts are “Free & Think”. No experience necessary. I like your out of the box haiku.